In 1995 Larry Horner, owner of Liberty Armory in Liberty, TX was contracted by several individuals for the assembly of M1 Carbines their company intended on selling. 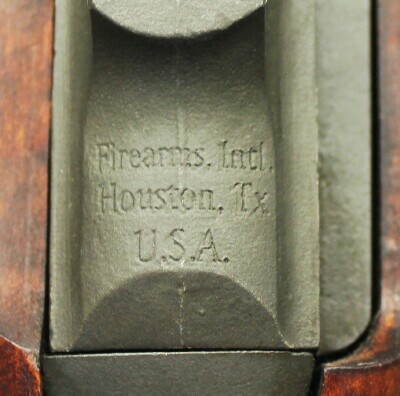 Horner identified their company as Firearms International in Houston, TX. Horner was a member of The Carbine Club and had many years of experience as a gunsmith with M1 Carbines. After Horner began assembling the carbines the owners of Firearms International incorporated Israel Arms International (IAI) and decided to use this name on all of their firearms, instead of the name of Firearms International. Firearms International, Gamma Products, and Israel Arms International were owned and operated by the same people at the same address. The carbines with the name of Firearms International were the predecessors of what would become the carbines with the name of Israel Arms International several years later. 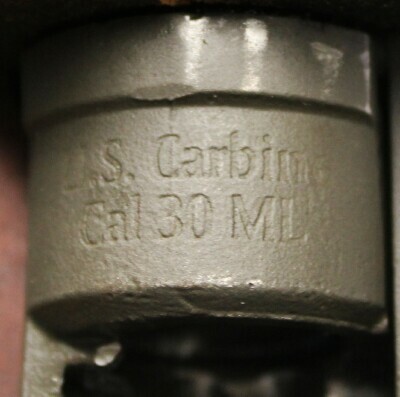 Differences in the name, markings, and receivers have prompted presenting the history of the Firearms International carbines separate, and as a lead into, the carbines made by IAI. 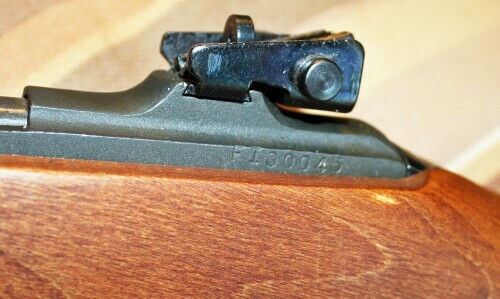 The name "Firearms International" has been used by several different companies since at least the 1960's. The Firearms International this page is devoted to was started in 1993 in Houston, TX. The company name was later sold to a different group in Houston in 2004. Firearms International was incorporated in October 1993 by Richard Nahman at 5709 Hartsdale in Houston, TX. The same day Nahman incorporated a second company, Gamma Premium Company, at the same address. Gamma Premium became the exclusive distributor of the firearms imported and sold by Firearms International and later, Israel Arms International. Prior to Firearms International Nahman had been operating as an importer under the name of JO Arms at 5709 Hartsdale in Houston, Texas, which he incorporated in June 1984. JO Arms imported handguns manufactured in Israel that were exported from Israel by K.S.N. Industries in Kfar Saba, Israel (refer to the review of the 9mm Golan Model in the Dopebag section of the August 1996 issue of the American Rifleman). The import/export business can sometimes be confusing as to who was/is actually doing what. Who actually made the handguns is irrelevant to the history of the M1 Carbine. For the sake of background it may be of value to know both K.S.N. Industries and JO Israel Arms were incorporated in Israel as arms exporters located in the city of Kfar Saba, while in Houston, TX K.S.N. Industries (June 1964) and JO Arms (June 1984) were incorporated as importers of the handguns with the name K.S.N. Industries Israel. Israel Arms International incorporated in Texas in November 1996 at 5709 Hartsdale Dr. in Houston. Texas corporate and tax records identify Richard Nahman as the company President. 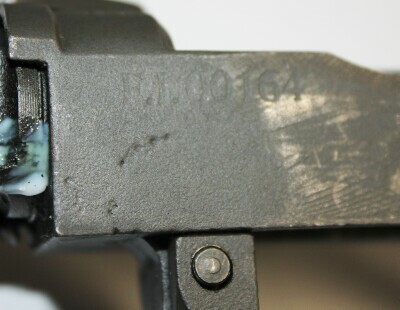 From this point onward the carbines assembled for Nahman by Liberty Armory were marked with the initials IAI instead of Firearms International or F.I. For the history of IAI please refer to the pages devoted to their carbines. The Twenty-Eighth Edition (2007) of the Blue Book of Gun values lists Firearms International and indicates "While IAI (Israel Arms International) was originally established to market firearms by Israel Arms Ltd. through Firearms International Inc, IAI defaulted on this agreement without any sales being made." The Blue Book does not indicate it's source for this information. Given Nahman was the president of Firearms International and Israel Arms International (also known as Israel Arms Ltd). In September 2004 the Firearms International name was acquired by a merger of the assets of Firearms International, High Standard, AMT-Auto Mag, and Arsenal, and continues to operate under the Firearms International name as a distributor of the guns sold under the other names. By September 2004 Richard Nahman was no longer able to operate as an arms importer or distributor due to events that occurred while he operated as Israel Arms International. Information from Larry Horner indicated production was slow and sporadic the first couple years as Nahman and his partners acquired the various parts and manufacturers for not only their M1 Carbines but also the other guns they intended on selling. Everything related to the M1 Carbine was sent to Liberty Armory in Liberty, TX for assembly after which the assembled carbines were turned over to Firearms International. 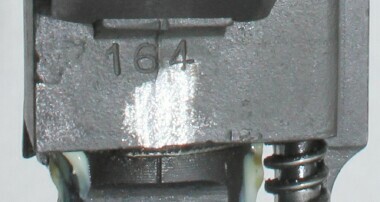 The highest serial number observed to date is FI00164. We are not aware of how high the numbers went before they switched to using the name of Israel Arms International. 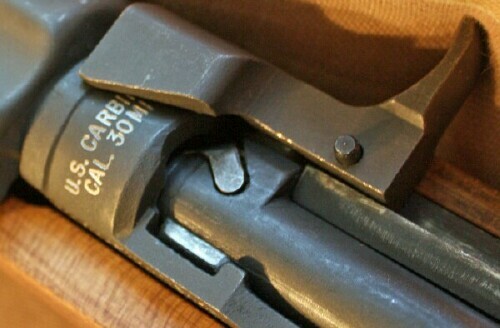 We are aware of several prototypes made under the name of Horner's Liberty Armory along with at least one additional having different Firearms International markings and a different serial number sequence though it's believed this was also an experimental carbine as it has a wide recoil plate tang.